Vibrant shades of red, pink and purple meet rich neutrals in this irresistible palette. 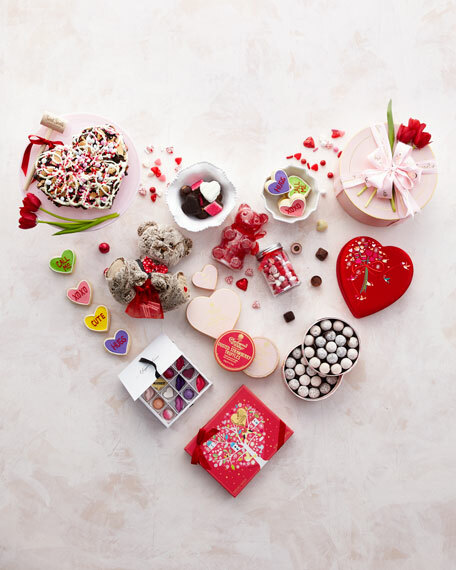 This 16-piece box of gourmet chocolate includes lips, hearts and jewels shapes in an assortment of milk, white and dark chocolate. Allergen Information: Contains milk and soy. May contain traces of peanuts, almonds or other nuts, wheat, egg.